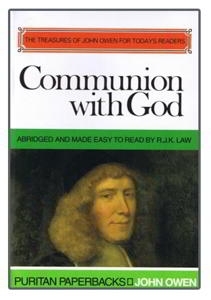 Communion with God was written in a day, like our own, when the doctrine of the Trinity was under attack and the Christian faith was being reduced either to rationalism on the one hand or mysticism on the other. His exposition shows that nothing is more vital to spiritual well-being than a practical knowledge of what this doctrine means. 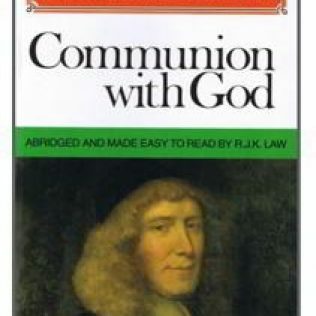 Until now, Communion with God has been read by only small numbers of Christians with access to the 275 closely-printed pages in The Works of John Owen. Now Dr R J K Law has produced a splendidly readable abridgement of one of the greatest Christian classics of all time, bringing Owen’s rich teaching to a much wider readership. Abouth the Author: John Owen (1616-1683) was a leading puritan pastor and theologian who served as a chaplain to Oliver Cromwell and later as Dean of Christ Church in the University of Oxford. R J K Law qualified as a medical doctor at St. Thomas’ Hospital but later entered the Anglican ministry. He ministers in four parishes in Devon and is married with four children.